FAR more than ever before! The Thrust V is a beginner/intermediate classic wing (non-reflex). 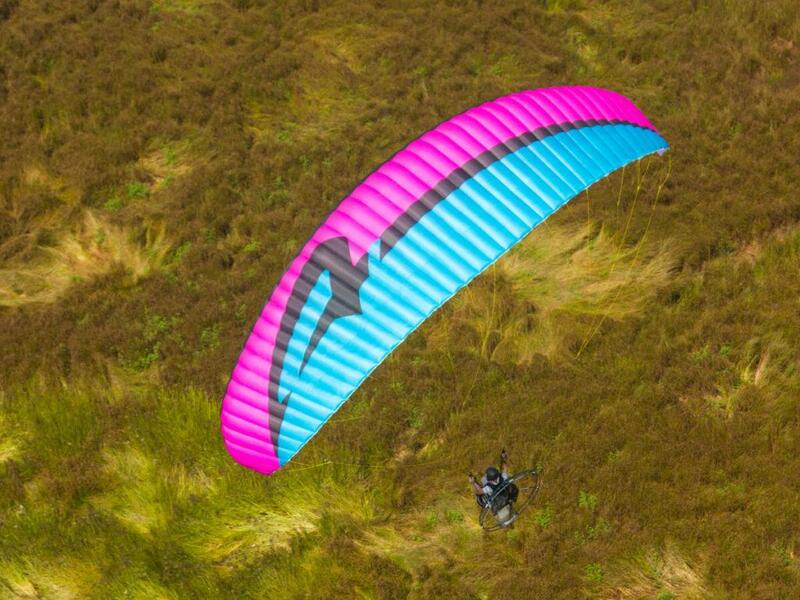 Designed with paramotoring in mind, it excels under power, but with its high lift profile and Flow Aligned Ribs, it will deliver also for free flying ! Almost “foolproof” Thrust V is perfect for teaching new pilots and will get any pilot flying faster than before. Thrust V will progressively build the pilot’s confidence as the canopy is very rigid, with reassuring feedback. This combined with its simplicity and ease of use, makes it the perfect package ! Schools opting for a non-reflex wing for students, will find Thrust V as the perfect answer which will make it easier for both the pilot and the teaching process. Read more about our new wing the Thrust V here.